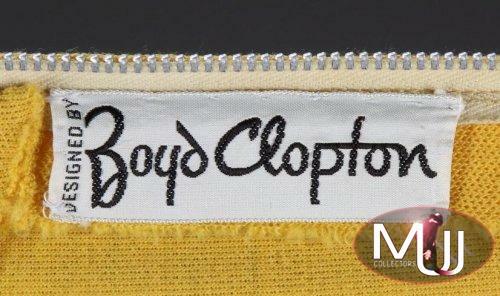 A two-piece yellow and orange wool outfit with flower petal cuffs and pant hems by Boyd Clopton. Together with a matching beaded necklace. 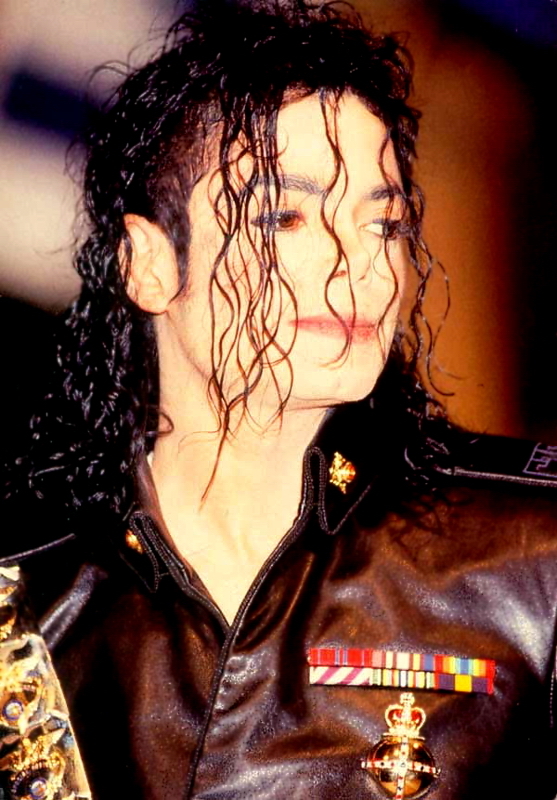 Sold by Julien's Auctions (Lot #346) for $3,750 at their 2010 Music Icons auction. 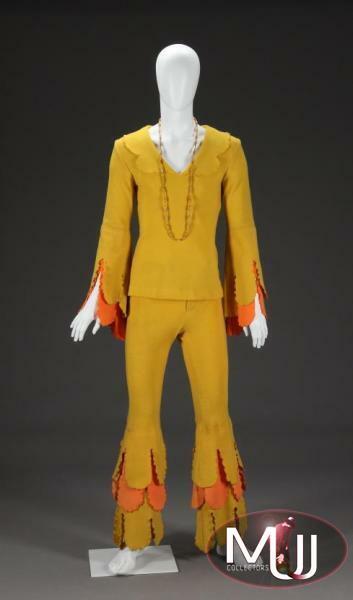 From the final selling price, this outfit could have been worn by Michael. All screen captures are the property of their respective owners.